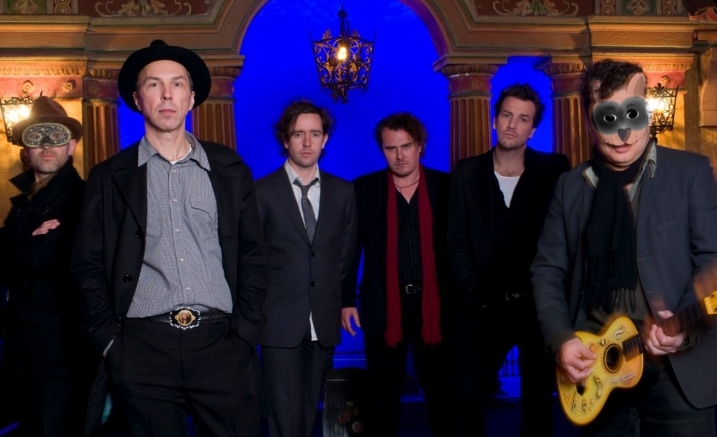 The legendary Australian band The Blackeyed Susans needs little introduction to Melbourne audiences. The moody romantics with an existential musical beat make sure every show is an event. Declared national treasures by Rolling Stone magazine, the band has toured the world, played with the likes of Johnny Cash and Leonard Cohen and released numerous albums of strange and beautiful music. Boasting members of The Cruel Sea, Dirty Three, The Triffids, The Jackson Code, Augie March, The Drones and Hungry Ghosts, the group’s credits read like a who’s who of Australian alternative music. In 2017, the band released its first studio album in more than a decade to rave reviews with sell-out performances across the country. With a diverse heritage, The Blackeyed Susans richly textured sound embraces light and shade. The Blackeyed Susans first outing of 2018 at Melbourne Recital Centre takes the best of the group’s much-loved back catalogue with the addition of a string section and lush new arrangements. With classic songs such as ‘A Curse on You’, ‘Smokin’ Johnny Cash’ and ‘Blue Skies, Blue Sea’ this concert will affirm the group as impressionistic storytellers with a bent ear for melody and atmospherics. Rediscover The Susans moody romanticism in the perfectly atmospheric surrounds of Elisabeth Murdoch Hall. Singer Rob Snarski is in fine form. His brandy flavoured, velvety voice is as smooth and warm as ever.